The first question many people have when they see court reporters in action is how they manage to type so fast. The secret is in the court reporting machine. When you hire a court reporter in Palo Alto, California , he or she will bring a stenotgraphy machine that allows him or her to report what is being said with incredible speed and accuracy. Here’s a closer look at how it works. 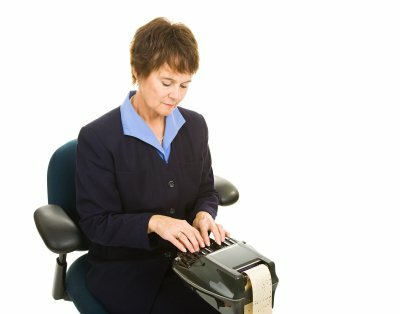 Court reporters may look like they are typing much as you would on your computer keyboard, but in reality, they aren’t typing actual words. Instead, court reporters type phonetically. The machine itself has 22 keys and is split into two halves. One half contains starting sounds, the other final sounds, with the middle containing vowel sounds. Typing phonetically allows court reporters to shave multiple keystrokes off each word, which contributes to their speed These phonetic records are then translated into accurate transcripts of every word said. 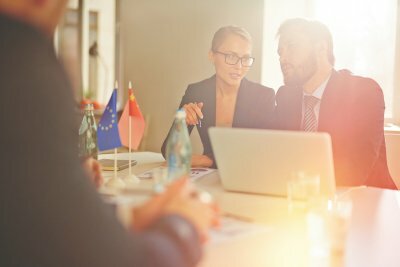 Whether you need an interpreter in Palo Alto, California , for your business or for a legal proceeding, there are a few strategies to keep in mind to ensure that the translation is as simple and accurate as possible. If you are using an interpreter for an upcoming business meeting or a legal proceeding, keep this advice in mind to avoid any issues. When you are working with an interpreter, there is a natural inclination to speak to the interpreter rather than to the person for whom the interpreter is translating. Remember to direct your speech towards the person you are having the conversation with, and talk to him or her as if you were being understood without the interpreter. Although the interpreter is necessary for that person to understand your words, he or she can also gain a great deal of understanding by seeing your body language and hearing your tone. Try to talk as though the interpreter is not necessary. You can make your session go dramatically smoother by preparing the interpreter for what to expect. This is especially important if you will require him or her to interpret any industry-specific or technical terms which may not be immediately familiar. If you are preparing a speech or a set of questions in advance, it can help to submit them to the interpreter so that he or she can get used to them. Keep in mind that working with an interpreter can make your meeting, depositions, and other proceedings last longer. Many people find it helpful to reduce their presentations or questions as much as possible to make allowances for the extra time that is needed. If you don’t make your content as lean as possible, you risk losing the attention of the other people involved in the meeting. When you’re in need of professional court reporting near Palo Alto, California , Pulone Reporting Services has the skilled team you need to get the job done. Watch this video to learn more about our court reporters and the services they can provide. We have been providing court reporting services to the legal community in Palo Alto since 1978, and since then, we have built a reputation for first-rate reporting and a dedication to being on the cutting edge of new technology. Our skilled reporting is in demand for depositions, hearings, trials and business meetings, thanks to a comprehensive range of services, including interpreting, legal videography, and videoconferencing support. Contact us to find out how we can support your firm’s need for professional court reporting and much more.